Explore Torres Winery/Codorniu and Jean Leon, three of the world's most important wineries. 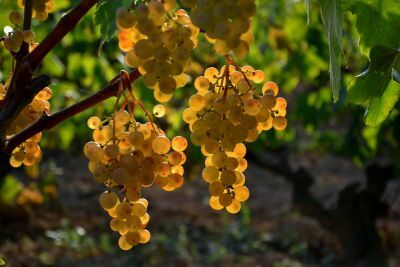 About the Penedes wine making region - For thousands of years, the Earth of the Penedes has been associate to the conreo of the vine and the wine elaboration. To know the Penedes is also to know a landscape and people that, generation after generation, have made of the vine their main economic motor, social and cultural. Torres Winery in Pacs - Witness for yourself the thousand year old tradition of winemaking. You will be surprised to find the very latest technology working hand in hand with tradition. Tunnel of the Seasons... live the experience of a year in the vineyards through the Tunnel of the Seasons, an area for visitors to our winery where you can experience the climatic contrasts of the vine´s annual cycle as well as hear and smell the environment that surrounds it. At our most representative winery you will see a thousand year old tradition at work, winemaking. You will be astonished to find the most sophisticated technology at the service of tradition. At Torres we are experts at combining the best of the past with that which is most modern and yet to come. The tour lasts an hour and begins within our splendid and vast visitors centre (1300 m²) with a video detailing our history. At Pacs you will be able to get to know the vineyard where our mythical Mas la Plana is born. You will learn the how and why of our way of grape cultivation and harvesting. You will be able to learn how we receive the grapes, vinify them and then see the vast underground storage cellars. You will walk among barrels and smell the wine as its ages. You will draw closer to the secret of making fine wines. So as to leave with the best impression of the Penedes you will also take part in a tasting of our products at our special tasting centre. Visit the famous Cava Winery Codorniu, located outside of Barcelona in Sant Sadurni D`Noia, the Penedes wine region. D.O. Cava, which has a long-standing tradition of wine-making. Its most widely distributed product is Cava, the local variety of champagne. Jean Leon at the age of 19, with just a small suitcase for luggage, he embarked on a long and arduous journey that would take him to Paris, New York and finally to Hollywood. Years later, fortune would lead him to set up in partnership with James Dean to create a world-unique restaurant: La Scala in Beverly Hills. Known and respected in gastronomic and oenological circles, in 1963 he decided to embark on the adventure of creating the wine that would carry his name, Jean Leon. The winery, situated at the heart of the Penedes region, combines tradition with the most modern winemaking techniques. It is acknowledged as having been one of the first wineries in Spain to have fermented white wines in oak casks. The new visitors centre is located at the heart of the estate and means that we can better welcome friends of Jean Leon wines. The design, by Domingo Triay, is inspired by 1960´s American architecture and is integrated naturally into the vineyard landscape following the curve of the mountainside. Winery Visit #1: Enjoy a visit of the famous Winery Torres, located outside of Barcelona in the Penedes wine region. Here you will have a tour of the winery and then a tasting of their wine. --OR-- Visit the famous Cava Winery Codorniu, located outside of Barcelona in Sant Sadurni D`Noia, the Penedes wine region. Then you will visit a second winery of the area to taste the "Wines of Hollywood". Enjoy a detailed private tour & tasting at Jean Leon winery, whose wines where savored by many famous American Actor´s at La Scala in Hollywood. Visits take one hour and include viewing of a video on the fascinating life of Jean Leon, a visit to the museum, a guided tour around the vineyards, the winery, the cellar and finally the opportunity to taste 3 of their wines. Next stop is Sitges, a white town overlooking a blue sea, now an important tourist resort not far from Barcelona. Free time to walk through the medieval quarter, with impressive views over the Mediterranean, with its narrow, winding cobbled streets are any visitor´s delight. Then your chauffeur will take you to your h tel and say the final goodbye. Winery Visit #1: CODORNIU WINERY - 2 Cava Wine. Winery Visit #2: JEAN LEON WINERY - 3 wines: TERRASOLA BLANCO (White), TERRASOLA SYRAH/CARIÑENA (Red), CABERNET SAUVIGNON (Carbenet).